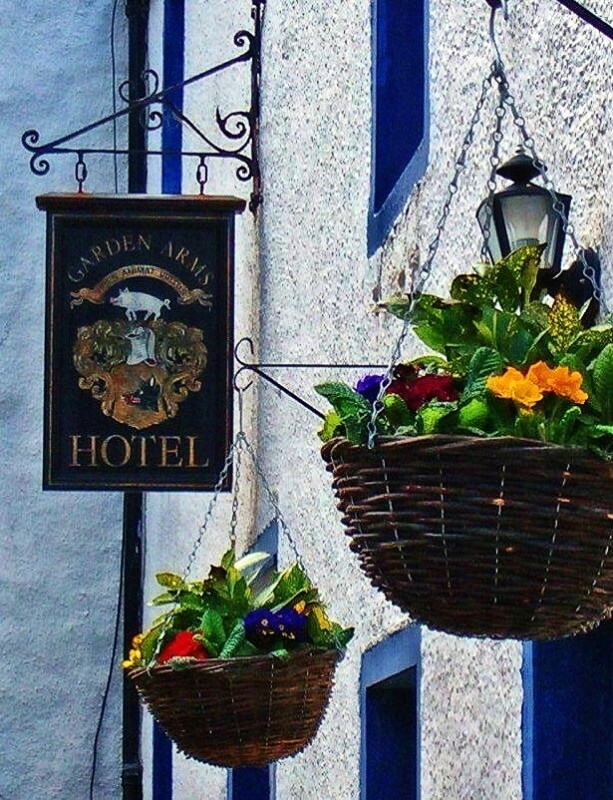 Relax and unwind in the warm, friendly welcome that is extended to visitors by the Garden Arms Hotel staff. Enjoy a drink and a meal in our separate Dining Room which also serves as a gallery for local arts & crafts. The Garden Arms Hotel is a small friendly hostelry dating back to 1743 with ceiling beams and many original features. We provide a tasty menu of fresh, local produce including speciality fish dishes. As we are a small business it is essential to try to reserve a table to avoid disappointment. Special dietary requirements are catered for with prior arrangement. Our well-stocked bar offers an excellent selection of Malt Whiskys and tasting advice is always available. The Garden Arms Whisky Club is held regularly and is by invitation only. The ever popular quiz night is every Thursday Nights at 9.30pm. A Cocktail Night takes place on the last Friday of every month with an ever-changing selection available.